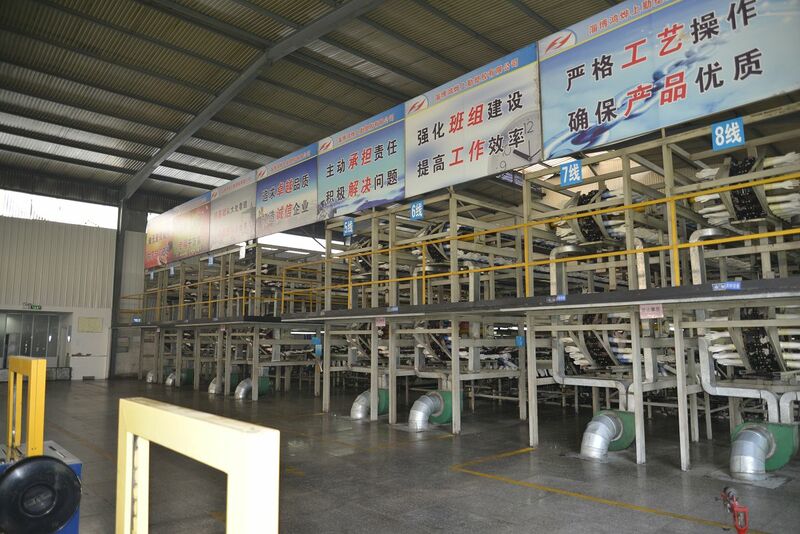 200,000 cartons capacity per month, our product passed by FDA ,CE ,EN374/EN455 and ISO9001 ,ISO13485 etc.Certification. Disposable glove is widely used in medical examination, industry ,electronic ,home life etc. 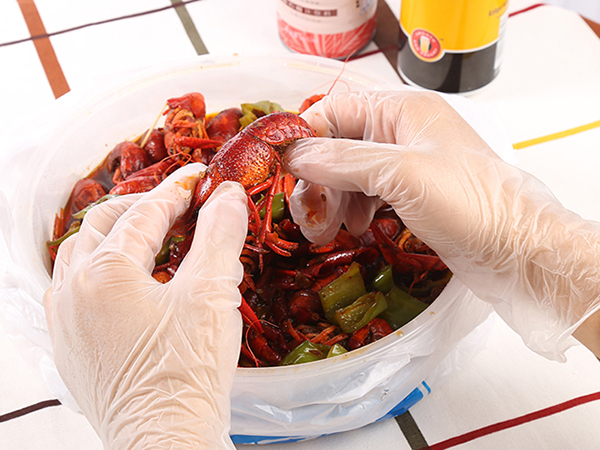 We are professional produce disposable vinyl gloves. 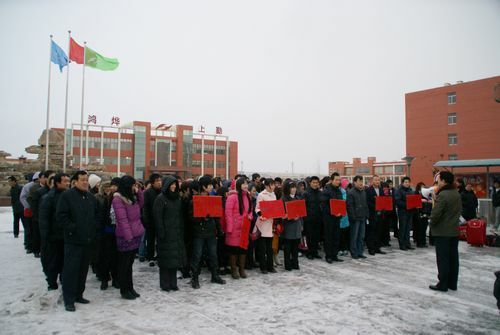 There is high-class design and advanced equipment. Offer kind is made to order and OEM order welcome. 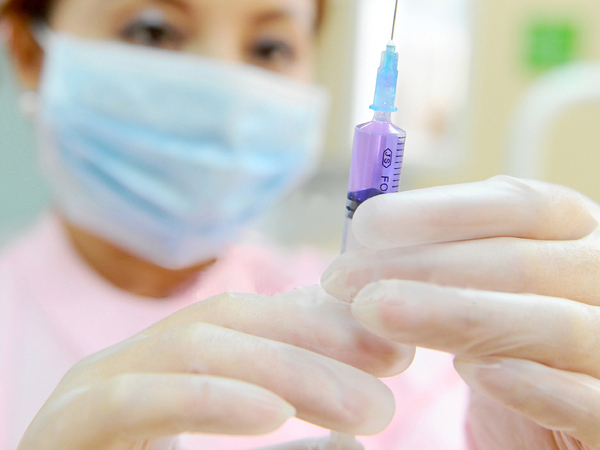 Vinyl gloves offer a pratical barrier of protection for a wide range of applications. They are soft to touch and very comfortable to wear, they can tear after extended rigorous use. You shouldn't use them for high-risk situations. 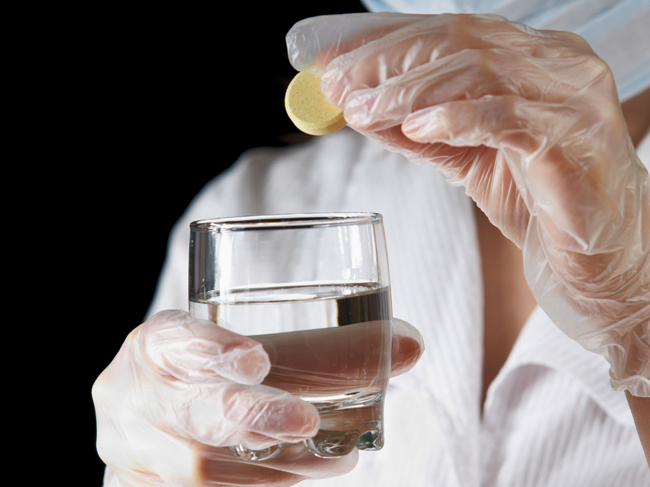 On the other hand, vinyl gloves are highly resistant to acid, fats and they have superior anti-tatic properties. 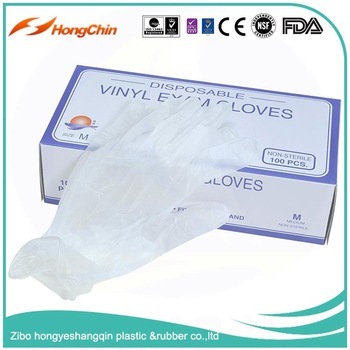 1, We are manufacturer specializing in disposable vinyl gloves. 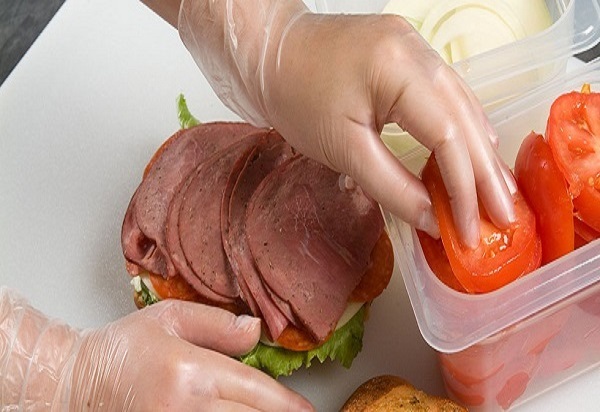 6, Vinyl gloves can also be widely used for food service, hair dying, print, machinery, examine, Cleaning and many other fields. 1.Colour:Clear ,nature or transparent ,white ,yellow ,blue. 9.Tasteless, harmless, nontoxic, alkali-resistant, acid-resistant. 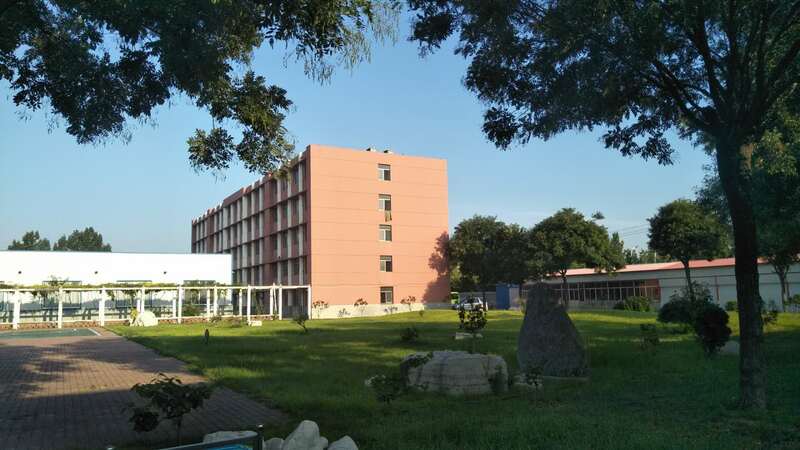 10.Medical , Food , Industrial grade etc. 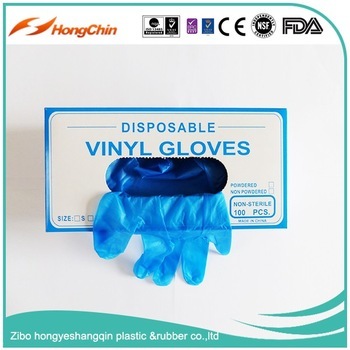 manufacturer	 Zibo Hongye Shangqin Medical Science and Technology Co., Ltd.
4,Vinyl gloves can also be widely used for food service, hair dying,print,machinery ,examine and many other fields. 4.Brand: Customer Brand or Neutral package or Our brand. price to you quick and best service.hope to develop and grown up togther! 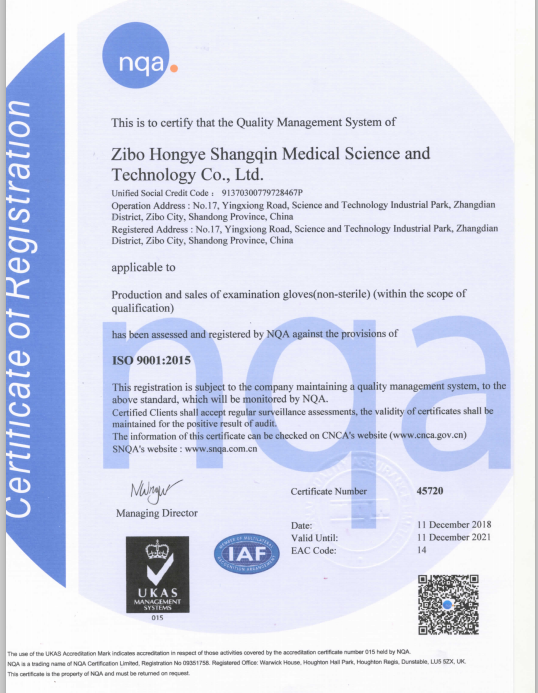 Zibo Hongye Shangqin Medical Science and Technology Co.,Ltd. 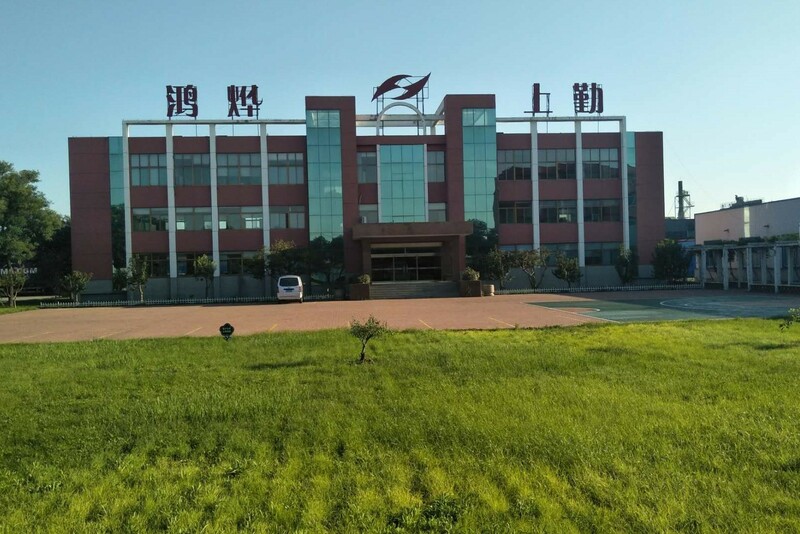 A professional disposable glove Manufacturer in China .We founded by 2003,and focus on high quality medical examination and food gloves with many years experience.350 more people and 16 automatic production lines,monthly production capacity 200,000 cartons. 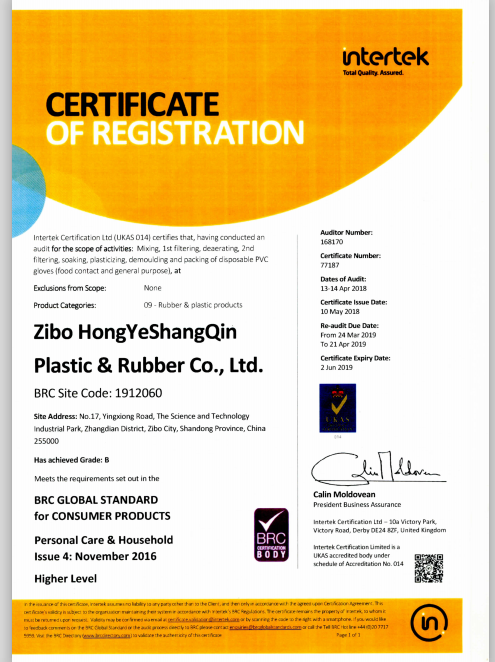 Main products are disposable vinyl glove and Nitrile etc .Medical grade AQL1.5,Food grade and Industrial grade AQL2.5,4.0 etc. 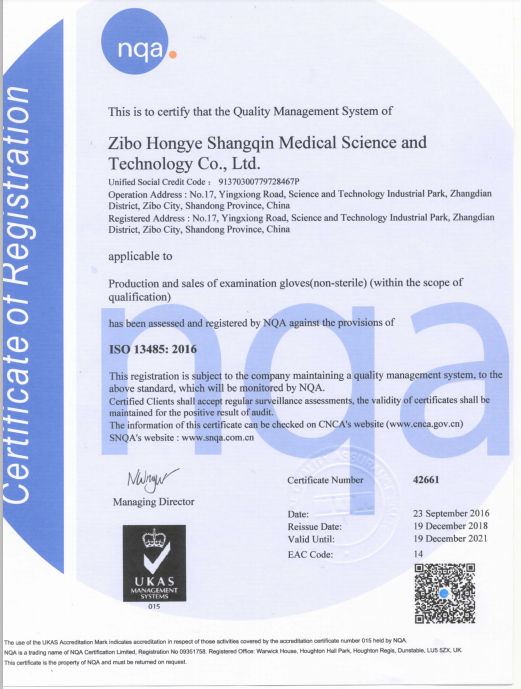 Our product passed many inspections: FDA,CE,EN455,EN374,PPE and quality systerm certifications: ISO9001,ISO13485,BRC etc. Our glove is widely used in Medical examination, Industry ,Electronic ,Foods,Home life etc. Our business partners are from all global:USA,Japan,Germany ,Spain,UK,France,Russia,Austrilia,U.A.E,and so on. 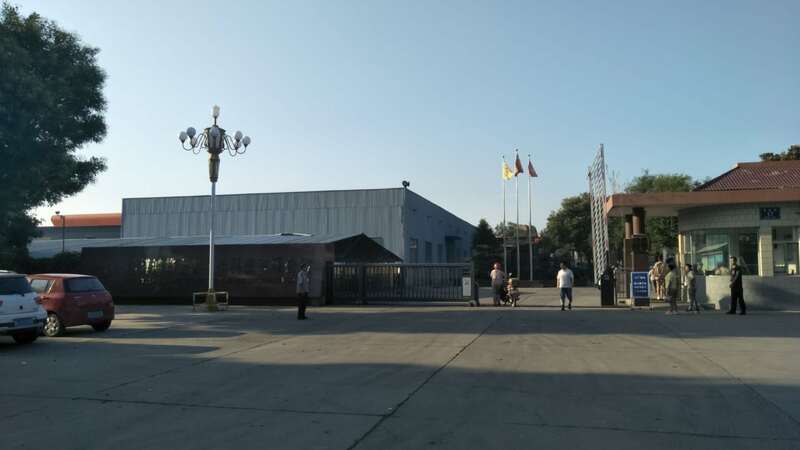 Welcome every customer to visit our factory and give business conversation, We hope to establish long time and stable business relationship. If you have any requirement or questions ,Please contact us and appreciate your message and suggetions. 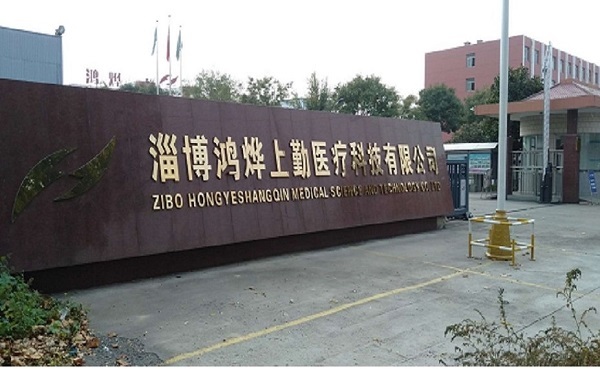 Company Name: Zibo Hongye Shangqin Medical Science and Technology Co.,Ltd.